The storing and removal of medical waste, particularly hazardous or sharp objects, needs to be handled with care. With a durable and hygienic design, the Bristol Maid 90-Litre Hands-Free Medical Bin with Removable Body provides a practical method of safely disposing of medical waste. 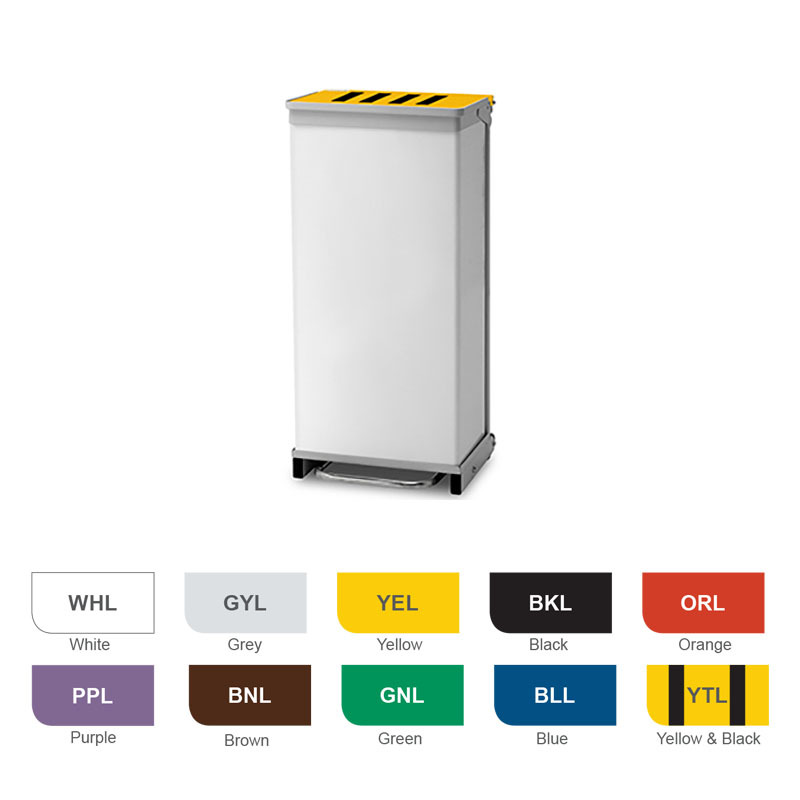 Built with a mild steel tubular frame and a painted sheet metal body, the Hands-Free Medical Bin offers a strong disposal solution that will both stand the test of time and prevent any contents from escaping the bin. This will benefit anybody who frequently disposes of potentially dangerous or chemical waste, as it will reduce the risk of contamination from the waste in the area in which the bin is stored. Fire-tested to HTM 83, the Medical Bin with Removable Body offers a safer solution to storing and disposing of medical waste. 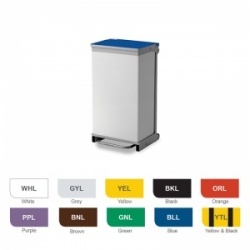 The bin is also available with Colour Coding (HTM 07) for refuse identification. 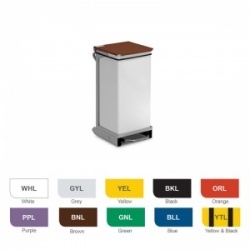 The 90-Litre Hands-Free Medical Bin is designed to offer a more hygienic approach to storing waste. It features a captive drip tray to collect any spills, and the addition of plastic feet keeps the base of the unit away from the floor. This provides a cleaner environment by reducing the risk of the contents coming into contact with surfaces outside of the bin. 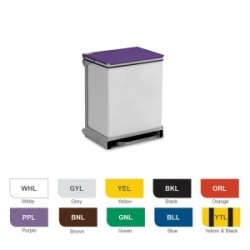 With a stainless steel pedal, the bin can be accessed without the need for hands to come into contact with the lid, further reducing the risk of contamination. Wheels are affixed at the rear of the bin for convenient relocation, and the removable body and radiused corners ensure a more thorough and practical cleaning when the bin is not in use. Please select your desired colour from the drop-down menu above. Please note that the Bristol Maid 90-Litre Hands-Free Medical Bin with Removable Body has an estimated delivery time of approximately four weeks. We apologise for any inconvenience that this may cause and advise you to consider this lead time when placing your order.